If I were to fancy myself a singer/composer and witness my creation entertaining the listeners and yielding wealth to a radio station or recording company and yet observe my association to the song enduring an existential crisis, I would perhaps remark the same as Ms. Shuba Mudgal has. The primary question is not how an RJ would manage to do it, but wheteher he or she should or should not. 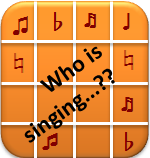 As an RJ myself, I have noted the name of the singer and more often the composer getting lost behind the noise. A song belongs to which movie and is picturised on which actor is another thing but after all who remembers the singer and the composer? I agree that reading out credits at the beginning or the end will be boring, but come on, doing this would be making the classical mistake of mapping Television and Radio one on one. Radio sans it visuals is much more than a TV. Anything engaging does not constitute eating up of airtime and I believe a good RJ can definitely figure out how to do it in an innovative and interesting way. Welcome to the Radio!!! !